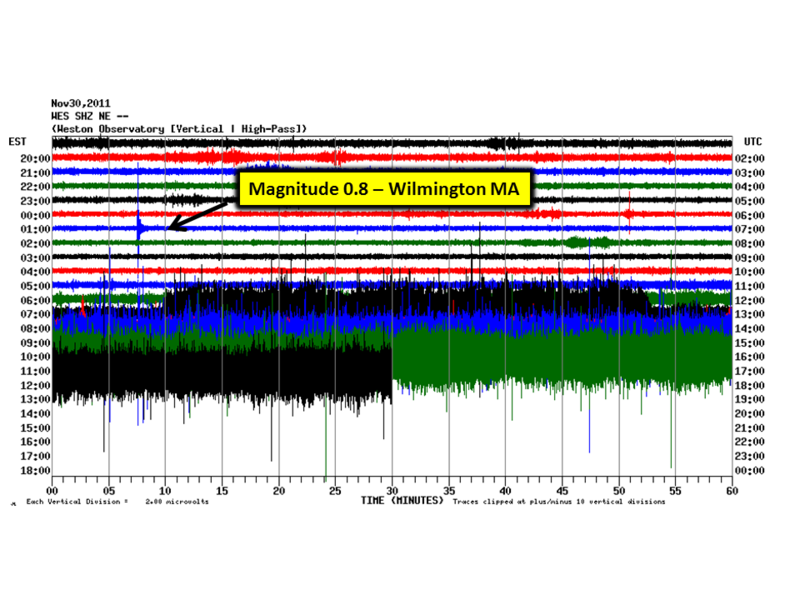 Weston Observatory seismographs recorded a magnitude 0.8 earthquake in Wilmington MA. It occurred at 1:07 am and there are currently no reports of shaking. Below is the seismogram of the WES seismic station located in Weston Ma.